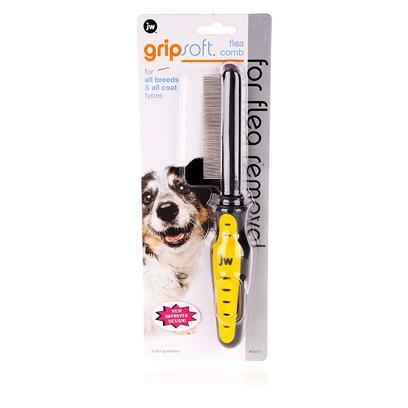 JW's Gripsoft Flea Comb Removes fleas and their eggs from your dog or cats coat. The Flea Comb is specially designed with its teeth turned 90 degrees away from the handle. The makes it easier to comb almost parallel to the skin while avoiding raking.